Is Anybody Listening?! Check out this Amazing Video on my YouTube Channel! I just posted a video titled: "Is Anybody Listening?" It was sent in by Yasmine F., in San Francisco, who saw it on YouTube and was inspired. Being a glass-half-full-type person, I see this story/project as an inspiration and motivation for everybody to get up, and look within ourselves and ask, "What can I do, within my skillset to better my community?" ... and share the inspiration! Please click on this link and toggle to the middle of the video. by my Tent City story, she used it as a teaching tool. The subject? How to be a good citizen! Also, please subscribe to my Channel and my blog, if you haven't done so already! I also want to thank everyone for the kind and thoughtful comments, story ideas and e-mails, and to those of you who have asked yourselves and me, "What can I do to make a difference in my community?" Oh, I'm also so excited that a viewer asked me where she could donate her extra tent that's sitting in the garage, to the homeless folks featured in my Tent City Story... So moving! The goodness keeps on coming. The cup runneth over. I'll include some of the responses in the next posting. Happy St. Patrick's Day Everyone... I feel like the luckiest leprechaun today. Why? Because I am living my dream and I am aware and grateful for what is happening; my movement, not only to inspire people, but to inspire everyone to create a change in your community. That's why I've decided to call this movement "GO Inspire GO" -- I even bought the web domain as I continue to develop this platform for people to get up and make a change in your community. I hope that people get up and GO, look at this site, and be inspired. Then, INSPIRE and be INSPIRED by the rich, moving, and hopeful stories on the site, then take it a step further, and GO do something about it. That's why after most videos (if applicable) there will be a "CALL TO ACTION" message. It's a simple one, asking you "What you can do" and it includes some resources of where you can go to do something. All I ask is this: What skills/gifts do you have and how can you apply them to help others in your circle or how can you help. It could be as easy as, I have extra clothes in the closet that I can donate to charity, or I have extra canned food items in the cupboard that I can give to the needy. You can also make it fun, my friends and I get together and pack food at the local food bank every so often. What can you do? I also feel so amazing this St. Patty's Day because I got an e-mail/Facebook message from a former co-worker, who was also laid off. She now is working for KXTV Channel 10 in Sacramento. She pitched my story and talked about my friend in Sacramento, a high school teacher who was inspired by this site and my Tent City story and is taking action. We will be interviewed this Thursday and I'll keep everyone updated on when you can see it. I will also post it as a link to my channel after it airs! 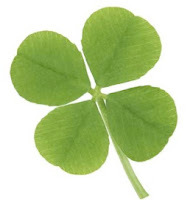 Meanwhile, as I sign off this St. Patrick's Day 2009, I want you to think about why you feel lucky in your life. (The homeless people in the Tent City Sacramento story had so much to be thankful for, eventhough they lost their worldy goods, their homes, and jobs and cars, but they told me they're thankful for every breath, every day of life, because they're hopeful for the chance-- the opportunity to rise above their adversities). SO, please check out the story and send in your comments (You can add me as a friend on Facebook, by clicking here ) and ask yourself, what do you feel grateful for today and ... what can you do? "GO Inspire GO..."
So I've decided to create a blog so my subscribers and viewers could be updated on the latest and greatest, inspiring stories in my queue. So much has transpired since I've gotten laid off from my TV Reporting job, which inspired me to create this platform to share stories of ordinary people, with extraordinary stories. What I didn't expect was a huge domino effect. 1.) First, off, I've been receiving so many awesome e-mails, maybe I'll select some and share it on this blog soon. After hearing about the heart wrenching story of what's known as "Tent Cities" or the new face of homelessness during this economic crisis spring up across America and in my hometown of Sacramento, I was inspired by a viewer to go inside one of these homeless encampments and meet some of these middle class Americans, who have lost their jobs and home and are pitching up tent encampments and creating their own communities. You may be asking, how is this inspiring? Let me tell you, the stories of the unbreakable human spirit gave me chills, made me teary eyed and gave me so much hope for humanity. 2. )While shooting the story of Tent City Sacramento, I ran into an old high school friend Erika Duran, while on my way to dinner -- call it serendipity, coincedence or fate-- but something amazing happened. I told her what I was doing with this Webchannel and she was so inspired that she asked me if she could use my site as a tool to teach her social studies class a lesson about civic duty and how to be a good citizen. She will document it and upload the video to my webchannel. What will the class be doing? Well, they're going to break up into groups and go from class to class to make presentations on how they can help the homeless people living in Sacramento's Tent City. They'll talk about their cause, what they need to make it happen and how the other students can help. 3.) Several media outlets are going to feature my webchannel, and one of the shows I used to report and field produce for, (Pacific Fusion, an internationally syndicated magazine show that focuses on Asian-American lifestyles is going to give me a free commercial spot. We're working on it as I speak...or write. 4.) Stories have been coming in from around the world. I just uploaded a story sent in from Africa, titled A-to-Z. Keely Stevenson, a social entrepreneur e-mailed the story to me. It shows how one little idea can save so many lives, lost by a preventable disease, malaria. It also shows what they did to help! 5.) And my friend, Nielma Bassig Hock, who has an incredible passion for fashion, owns a charming boutique, "The Firm," in San Francisco. Nielma says she's so inspired by this site, she is going to hold an event at her store to help the unemployed network and get out of the post-layoff-funk. I promise I'll keep you posted on this one. Oh, and she wants to host an "Inspiring stories" launch party there too. 6.) To my delight and joy, I've been slammed with so many amazing stories, and e-mails of how so many people say this site made their day, and how this timely project helped them get through the day-- which is hard to do during these very uninspiring times... So I promise, I am going to definitely post some of the inspiring emails because they've generated some great stories ideas that I will go out and shoot, others who've sent me links, I promise I'll get around to posting them too! I'm experiencing the true meaning of paying it forward and having it return 10 fold! Thanks everyone, for your support and love... and for being a part of my dream, to inspire and uplift people one story, one conversation, and one connection at a time!